The Level 3-5 Intensive Program (IP) is designed for young dancers wishing to take 4 to 6 classes per week at their appropriate age and developmental level. The program is ballet-based in order to develop the strength and understanding necessary for long-term success in Arts Umbrella’s dance programming. Admission is in consultation with dance faculty. Placement is determined by academic grade. For example, Level 4IP dancers are in Grade 4 and do not need to have completed Level 3 or Level 3IP. 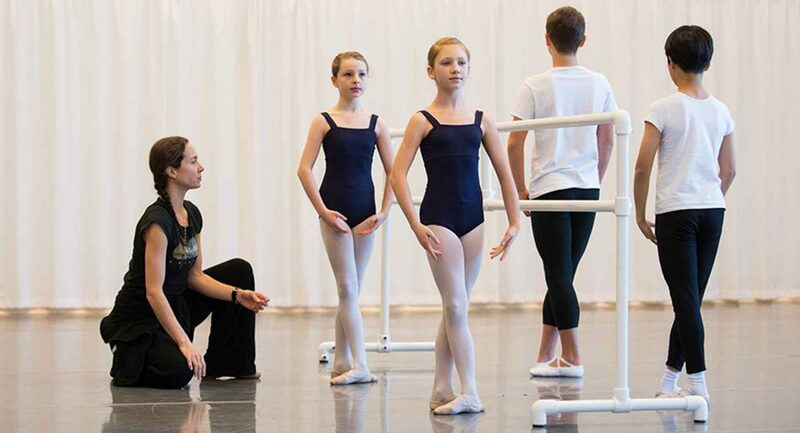 The program includes Ballet, Jazz, Contemporary, Conditioning, and Cecchetti Exam Preparation. Students attend 4 to 6 classes per week. Dancers interested in a less committed schedule can register for the non-IP programs. Leotards, tights, and socks (for girls) or shirts, shorts, and socks (for boys) are included in tuition fees and additional items can be ordered by emailing Siân Morris, Costume Coordinator, Dance. Dancers can audition for the Professional Training Program or continue to the General Program Level 6 to maintain 4 to 6 classes per week.